Manufacturer of a wide range of products which include puffed rice roaster, puffed rice plant, muri making machine, puffed rice making machine and roster machine. Our organization is counted among the most prominent manufacturers of exclusive quality Puffed Rice Roaster. These roasters are manufactured using quality tested raw materials that is sourced from trusted vendors. To deliver a flawless range at clients’ end, our roasters undergo various stages of quality checks by our quality controllers. Offered products are known for their uniform roasting, sturdy construction, maintenance free operation and corrosion resistance. Our vast industrial expertise is initiating us to offer high quality Puffed Rice Plant at competitive market prices. Our professionals design these plants in the compliance with industry laid quality parameters using best-in-class components. Offered plants are widely appreciated by our clients for their easy installation and non-corrosive nature. 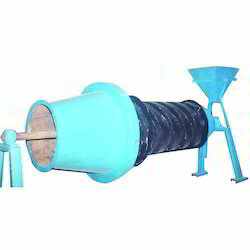 We engaged in offering highly durable Muri Making Machine at competitive market prices. These machines are precisely manufactured by our skilled workforce in the compliance with industry laid quality norms. Offered machines are widely demanded by our clients for their remarkable quality attributes such as easy installation, corrosion resistance, seamless finish and longer functional life. 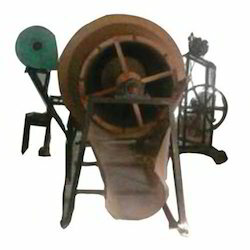 We have firm allegiance in manufacturing and supplying highly demanded Puffed Rice Making Machine. Equipped with powerful motor and quality approved components, this machine roasts and renders unmatched quality of puffed rice. Further, we are offering this machine in power specification of 2hp and 3hp that feature 200 kg/hr-1 ton kg/hr output capacity. Empowered with a team of passionate personnel, we are engaged in offering a broad collection of Roaster Machine.